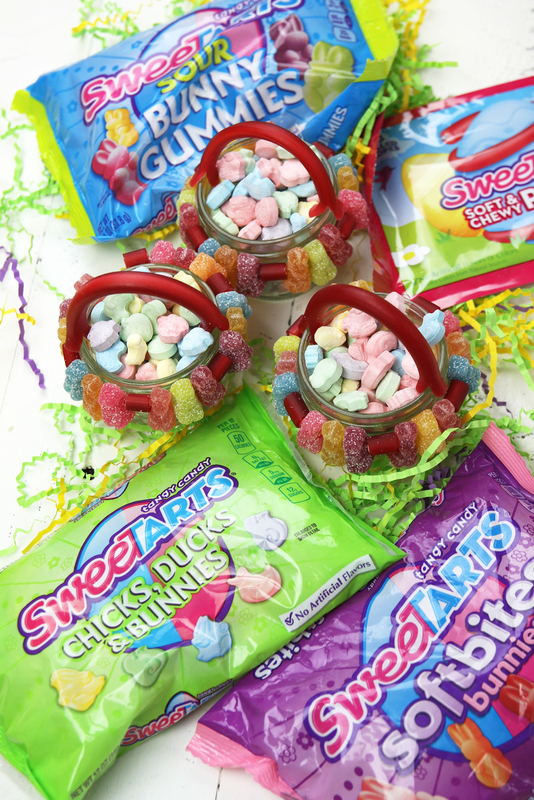 I was asked by Nestlé to come up with a creative Easter basket DIY using their SweeTARTS Soft Bites Bunnies, Sour Bunny Gummies, Chicks, Ducks & Bunnies and Soft & Chewy Ropes. Not a bad job, right? So check out these cute SweetTARTS mason jar candy Easter baskets I made! Wouldn't these be fun to give to your guests at your Easter celebration? I started with 4 oz. mason jars as my base. 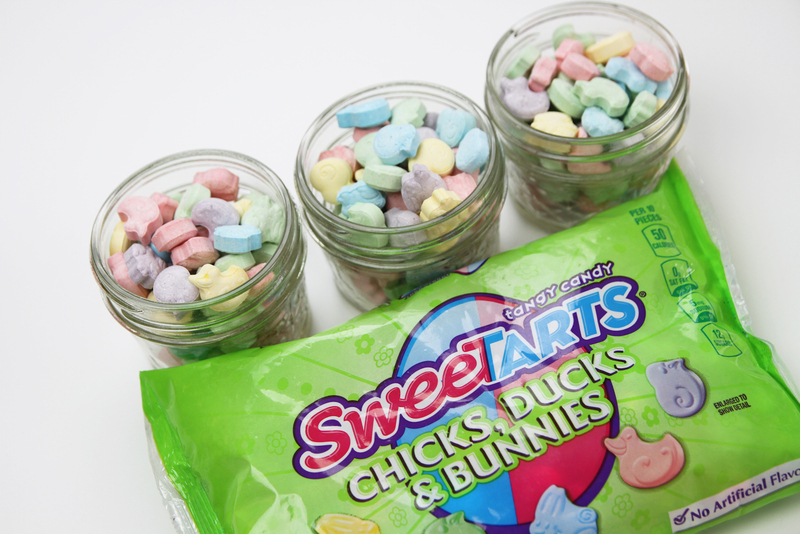 I filled them with SweeTARTS Chicks, Ducks, & Bunnies. Then, using a sharp knife, I chopped up some of the SweeTARTS Soft & Chewy Ropes into pieces that were about 1/4 inch thick to make candy beads. I used 28 gauge galvanized wire, which is very pliable, and cut pieces that were about a foot long. 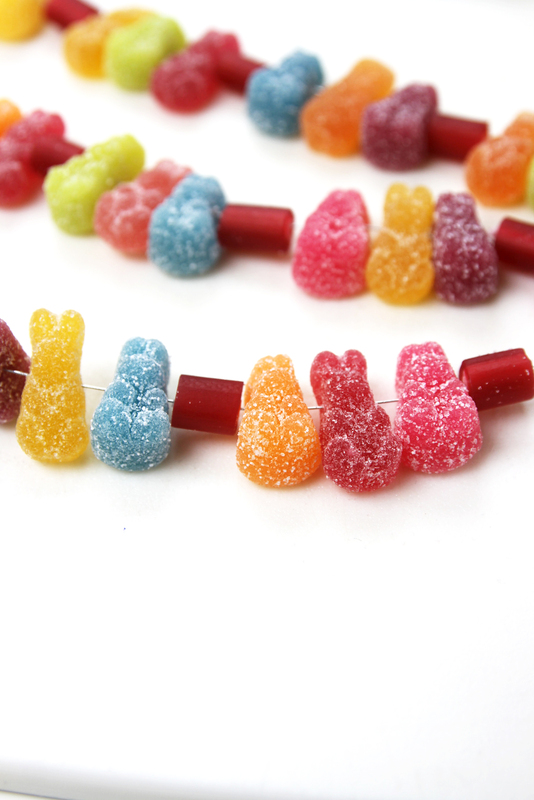 Then I started stringing the SweeTARTS Softbites Bunnies, SweeTARTS Sour Bunny Gummies, and candy rope beads onto the wire. 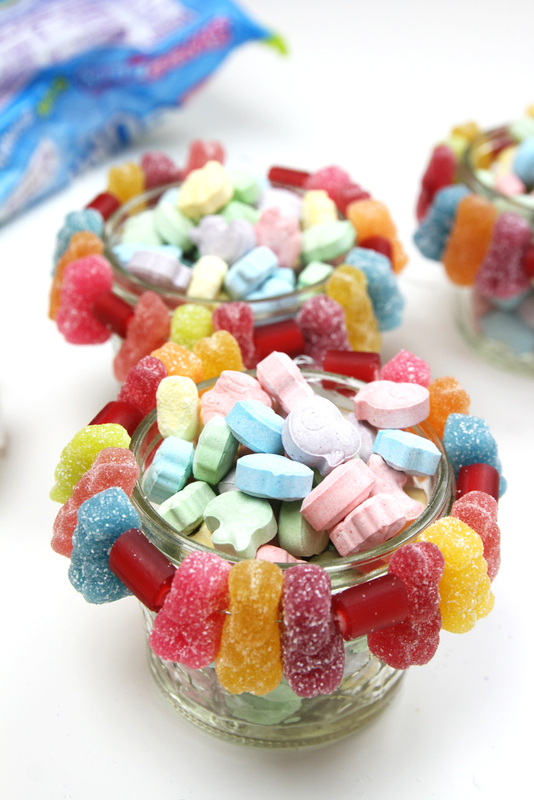 Next, I wrapped my mini candy garlands around the mason jars and affixed the ends by twisting the wires. 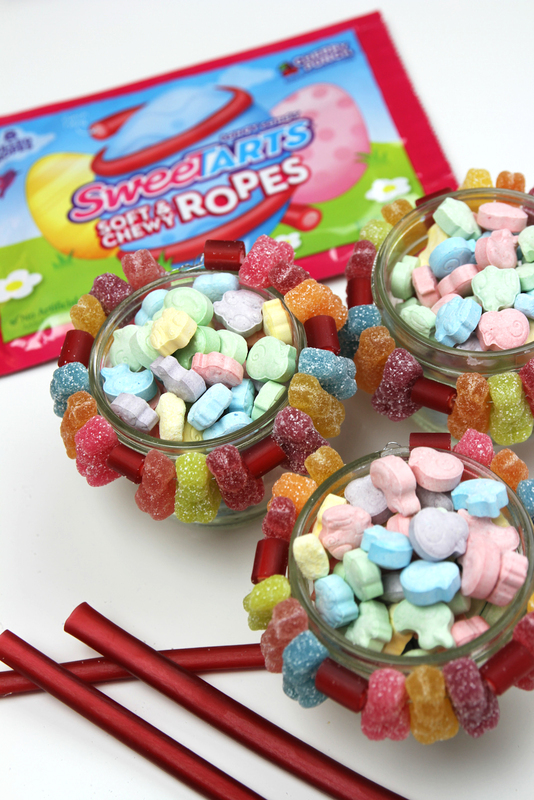 I thought the SweeTARTS Soft & Chewy Ropes would make the perfect basket handles, so I cut small slits at the ends of each rope and attached them to the sides of my jars. 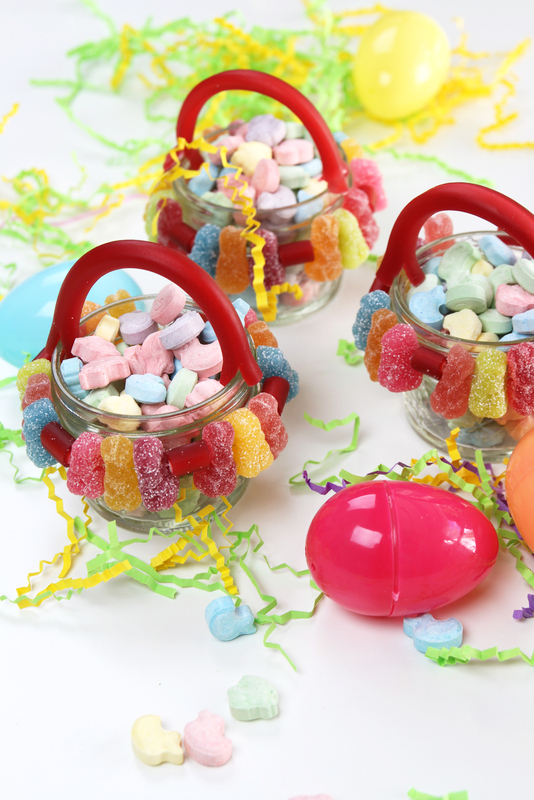 And here you have it... my SweeTARTS mason jar candy Easter baskets DIY! I love how they turned out, and my daughter couldn't wait for me to finish taking photos so she could dig in! 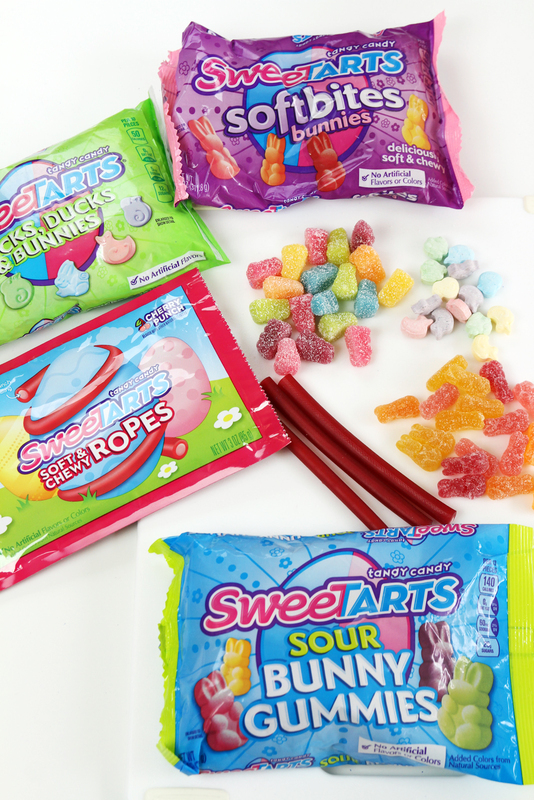 We love sour at our house, so we are all fighting over the SweeTARTS Sour Bunny Gummies! If you like candies that make you pucker, these are for you! Your kids will love finding all these SweeTARTS candies in their plastic Easter eggs this year! And since they won't be around forever, grab some before they're gone at your local store! 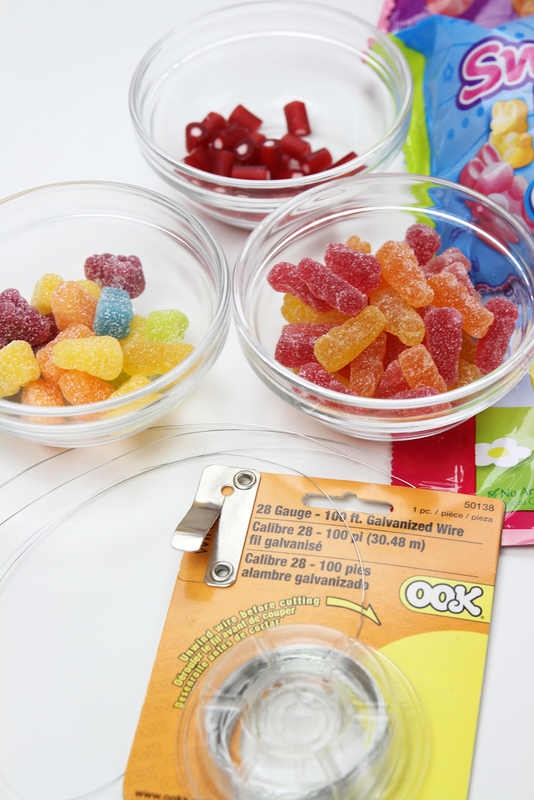 SweeTARTS Soft Bites Bunnies, Sour Bunny Gummies and Soft & Chewy Ropes contain no artificial flavors or colors.